The most commonly used steel sheet pile sections in USA is AZ sheet piles (such as AZ26-700, AZ28-800), PZ sheet piles (such as PZ35 sheet piles), JZ sheet piles (such as JZ120 sheet piles) and PZC sheet piles. 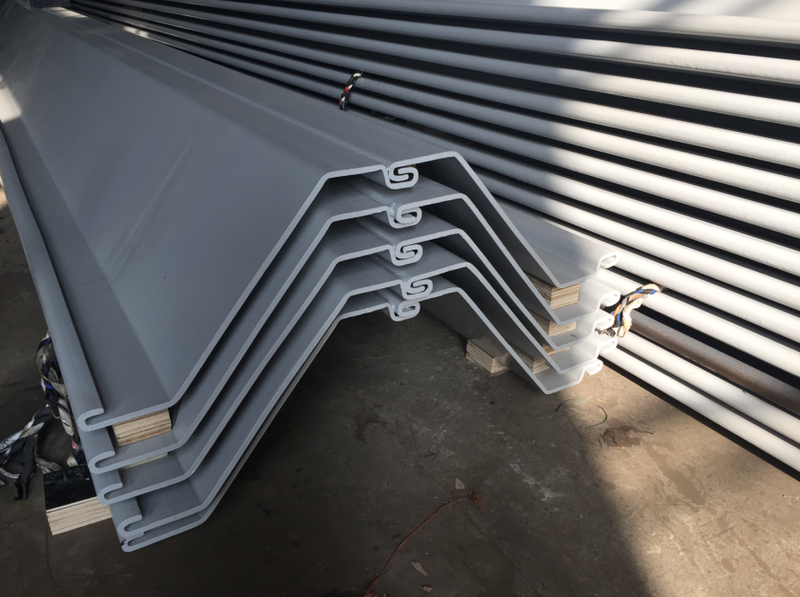 In recent years, with the developing of cold-rolled sheet pile promotions, people in USA are becoming to consider to use cold-rolled sheet piles in some big projects. 1. Guam Project – With Hensel Phelps – Granite Construction JV. Numerous orders for the sections equivalent to AZ26-700 sheet piles have been delivered to USA and sell well in USA market. Shunli Steel is working well with painting suppliers and knows the clients’ anti-corrosion requirement well, Coal Tar Epoxy are the most common used painting in USA piling projects. For more information about our piling products, please feel free to contact us.